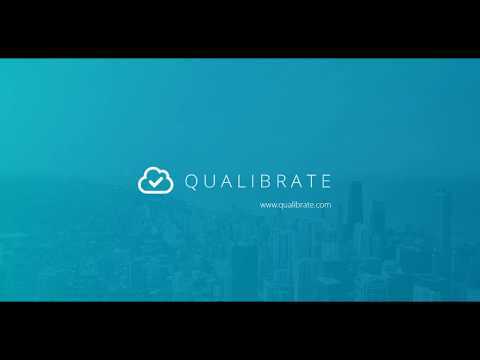 Qualibrate is a cloud-based SaaS solution, promising a 3-in-1 solution for automating business process management around SAP, Salesforce and web application development. By centralizing the recording of business processes, teams of Qualibrate users are able to ensure testing, documentation and training deliverables are kept synchronized. Accelerated testing based on the DevOps paradigm assists agile developers with not only automated testing tools, but also accelerated manual testing for aiding validation, while finding software bugs without duplicating defect detection. Continuous integration then enables automated testing to be initiated and run between third-party CD/CI tools, across open source solutions and popular commercial packages alike. Test data management features also integrate with external systems, while Qualibrate's native web interface offers a familiar spreadsheet-like UI with the option for Excel-based data import/export. Similarly, test maintenance facilities enable convenient drag and drop scheduling, plus run time learning capabilities for recording application changes. Documentation features also leverage automated capture of steps and screenshots, controllable also by an intuitive floating panel, while process flows arrange actions logically into each business tasks that can be reorganized via drag and drop. Collaboration is assisted here with teammate chat facilities, on-the-fly commenting, plus annotation of recorded processes or defects. Qualibrate then incorporates a Virtual Trainer that allows end users to be coached and guided on an application's usage before completion. Updated to reflect the app still in development, this feature simulates screens and business data while adding social support in terms of team conversations. Qualibrate tool is >user friendly >Flexible to use >Easy to record and Playback >During run time we can change the object properties. We can capture the new properties and saved for future use. So that no need to stop the current execution. >We can reuse the components with different test data for different test scripts. >Execution logs : It will take the screenshot for each and every action with details(With time stamps). User can understand by seeing logs, what action it has performed. >By seeing the color only we will get to know whether test case got passed or failed. And even we can check in Action step also. >Required looping feature in the Tool >Sometimes performance issue will occur while execution >Suppose when giving batch execution of many test scripts in Qualibrate is performed. there are pre-requisite activity is need to perform. One of the preparation activity that has to be done is going to each script and enable to 'Ready' status which is time consuming. If we can update in one time for many test cases which are there in folder means it will be very useful. User friendly tool for SAP applications, saves time for testing.Qualibrate tool is user friendly, even with little programming knowledge by record and playback capability of tool, we will be able to do quality testing. If any of the object properties are changed, even during execution of test cases, we will be able to capture the new properties and saved for future use. So that no need to stop and come back to capture the particular object. That is one of the best feature I like in qualibrate tool. This will definitely saves time. Also we can reuse the components, multiple use of test scripts using different data for different scenarios is possible, these features definitely saves script development time. These are some of the features I like the most. Qualibrate tool is user friendly, even with little programming knowledge by record and playback capability of tool, we will be able to do quality testing. If any of the object properties are changed, even during execution of test cases, we will be able to capture the new properties and saved for future use. So that no need to stop and come back to capture the particular object. That is one of the best feature I like in qualibrate tool. This will definitely saves time. Also we can reuse the components, multiple use of test scripts using different data for different scenarios is possible, these features definitely saves script development time. These are some of the features I like the most. Sometimes performance issue will occur while execution, if some network issue occurs in between the script development, it won't get saved sometimes. If looping with condition feature is there with user friendly environment it is good. Able to test SAP applications currently using with best quality.This tool has the capability to edit and save the properties of an object even during execution. This will saves the time. So even if the object properties changed due to any change in applications, there is no need to record the functionality step by step again. While executing if the tool fails to identify an object, we can recapture and save the object properties in that particular step. This is the best thing about this software which I like. This tool has the capability to edit and save the properties of an object even during execution. This will saves the time. So even if the object properties changed due to any change in applications, there is no need to record the functionality step by step again. While executing if the tool fails to identify an object, we can recapture and save the object properties in that particular step. This is the best thing about this software which I like. The same components can be reused with different sets of data but the order is not proper while executing. This confuse us while developing scripts. I have been working in this product from 2016 , and it I svery easy tool for manual, automation and documentation. I personally Liked this tool. "Do it for me "feature Documentation mechanism. Easy use and learn and adapt. Worked very well in SAP. Easy manual testing. "Do it for me "feature Documentation mechanism. Easy use and learn and adapt. Worked very well in SAP. Easy manual testing. Windows object identification not identified. Qualibrate is a 3-in-1 cloud solution for managing business processes around SAP, Salesforce and web app delivery, spanning accelerated automated testing, business process documentation, plus end user training. Team-ready automated tests can be created in minutes, while accelerated manual testing tools include interactive learning aids, bug finding and enhanced defect location that avoids duplications. Continuous testing is supported by third-party integration with CD/CI tools, plus the ability to schedule tests via Qualibrate’s own command line interface (QFPCli). Collaboration features include chat, along with the ability to add comments and annotations to any recorded processes or defect for keeping all teammates on the same page as far as progress. Reports and insights capabilities allow for the tracking and feedback of test progress, test executions and defects etc, with the creation of public / private dashboards. Below are some frequently asked questions for Qualibrate. Q. What type of pricing plans does Qualibrate offer? Q. Who are the typical users of Qualibrate? Q. What languages does Qualibrate support? Q. Does Qualibrate support mobile devices? Q. Does Qualibrate offer an API? Yes, Qualibrate has an API available for use. Q. What other apps does Qualibrate integrate with? Q. What level of support does Qualibrate offer?